Based on 294 customer ratings. Our Lake Zurich location is ready to satisfy your biggest Giordano's cravings. Visit our dining room and enjoy a glass of beer or wine, or order pickup or delivery. Chicago-style pizza is famous around the world for its distinctive thick and flaky crust, rich fillings and flavorful toppings. No visit to the Chicago area is complete without enjoying a slice of our famous pizza! 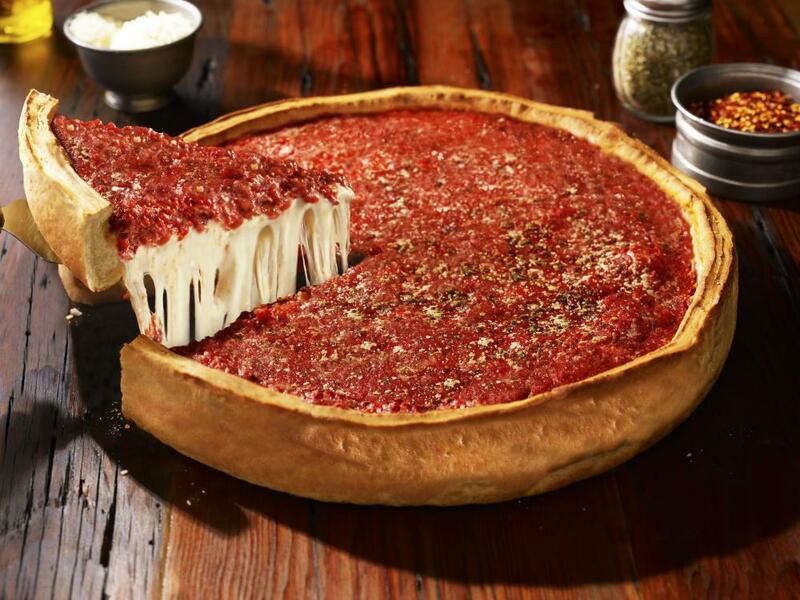 When you want the best deep dish pizza in town, Lake Zurich's Giordano's is your destination! Since 1974, we have served the best Chicago-style pizza in the world. How Many Artisans Does It Take to Handcraft One Giordano's Stuffed Pie? At Giordano's, the answer is six. Six carefully trained artisans construct every pizza to meet our strict specifications established from old-world heritage. Every Giordano's pie is an experience, not just crust and cheese and toppings. Our cheese is made on a small Wisconsin farm, and our toppings are only the ripest and freshest vegetables and meats. Our crust? Taste it and you'll see why we're famous. With 2 layers of flaky crust, it's one of the main reasons why we're the best pizza delivery and restaurant in Lake Zurich. Just because everyone knows Giordano's for our world famous pizza doesn't mean you shouldn't explore our full menu. We have savory pastas, healthy salads, mouthwatering sandwiches and delicious appetizers. Need gluten-free choices? We have them, too!